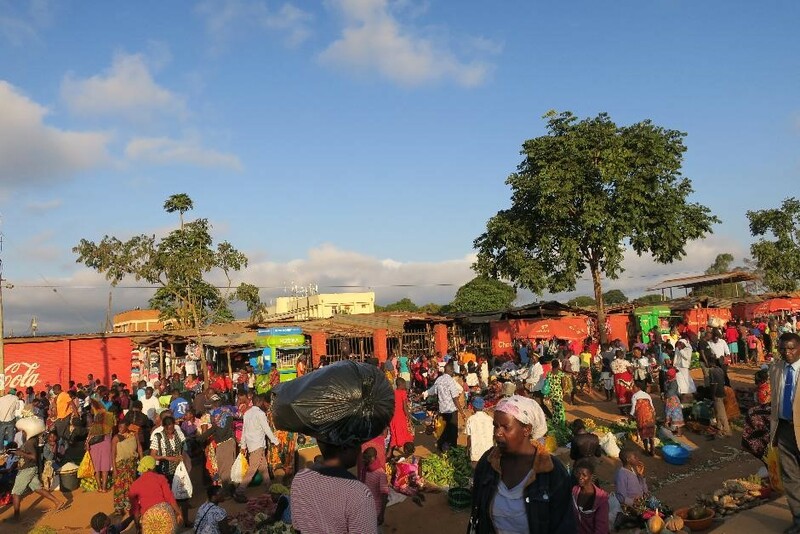 So much of Malawi life revolves around the markets – the sights, sounds and smells can’t possibly be described in a blog. These are chaotic places where a very limited range of goods are bought and sold and they are a social meeting point in the towns and villages. But it’s all so limited. Malawi needs a new generation of entrepreneurs who will develop farming and agri-processing and so stimulate the local economy. This is definitely an area of work we will be involved with in the year ahead and in preparation we have been meeting with many young farmers to learn from them about the challenges and opportunities they see in the future. One great session was with a group of young people who are already in business – one making flour from cassava; another who has taught himself to build beehives from a YouTube video (! ); and a third farmer called Thokozie who grows potatoes in sacks! 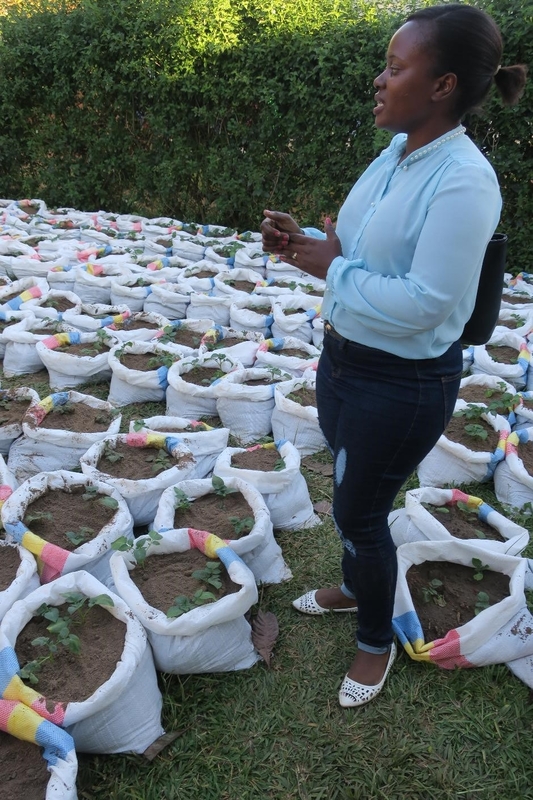 Thokozie attended a training workshop about potato growing and realised that she could grow them all year round if she grew in sacks in her garden. This meant that she could water the potatoes throughout the year and so get three crops. Also the potatoes are bigger and have a longer shelf life when grown in sacks. Because she has a supply throughout the year, her friends and neighbours all want to buy so she sells via a WhatsApp group (is there anything you can’t do on WhatsApp?). this year she has 345 sacks and will produce 10 tons of potatoes and she’s already working on her next business idea. Watch this space because Malawi Fruits has some great ideas for supporting entrepreneurs like Thokozie and helping them develop their business ideas. So much to think about on the plane home tomorrow…..